Canadian rockers Sloan performed an intimate show Saturday at the Pyramid Cabaret. Chris Murphy, Patrick Pentland, Jay Ferguson and Andrew Scott sang hits from their first ten albums, celebrating 20 years of music. The Nova Scotia group took the stage later than expected, but fans who waited weren’t disappointed. 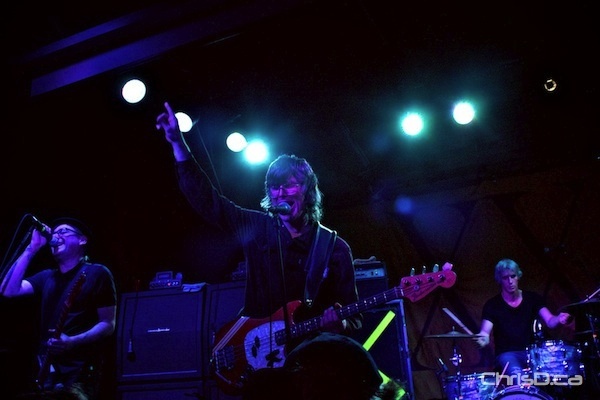 Sloan released its latest album, The Double Cross, earlier this year.